Keeping content fresh can improve your site's ranking with search engines. Just a little time spent making sure that your site content is current and accurate can reap rewards, by increasing traffic to your website. All too often, the cost and time involve means that this doesn't get done. 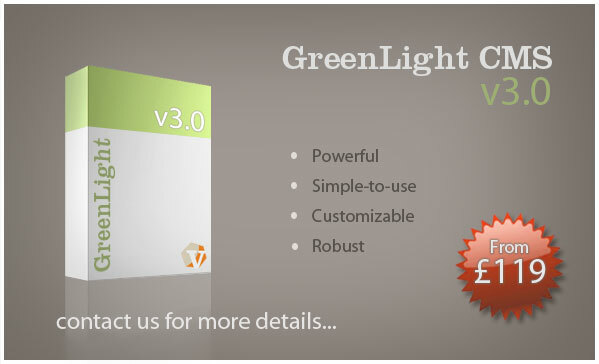 The good news, is that our GreenLight content management software can help. It is powerful, well-proven and is quick and easy to use - even for users with basic computer skills. ﻿ We offer it with all new websites, and can usually add it to older websites too. Once installed, you are able to update your website from any computer with an internet connection, whenever - and however often - you like. Best of all, prices start from just £119 plus VAT.﻿ Why wait any longer?